If you've been experiencing power supply disruption the last couple of days, you probably were located within the area where load shedding was being carried out. The current 22MW turbines at Pangi hydropower plant. Pictures taken by The Borneo Post during working visit at the plant November last year. SESB said that load shedding had to be carried out on Tuesday due to Pangi Hydropower plant in Tenom unable to generate optimal power. Dry weather during Tuesday's peak hour had resulted in slow water flow at Sungai Padas, hence affecting Pangi's power generation capability. Power generation went down to only 35MW, whereas the full capacity of the power plant is 66MW. Apart from that, several other independent power producers also faced outage such as in Libaran, ARLT and SBPC. Load shedding began at the peak hour of 12.50pm while power supply was restored in stages beginning 2.50pm on the same day. Already on Monday, SESB had to resort to load shedding as it observed high demand for power by consumers. If it was not due to failure of its generators then you can only deduce that we are now in the critical stage of power deficiency. The commissioning of the 100MW IPP by SPR Energy Sdn Bhd in May this year and the first block of Kimanis Power Sdn Bhd generating 95MW in June, may not be sufficient in the medium term! SESB gave assurance this will help solve the problem, but it wont be for long. 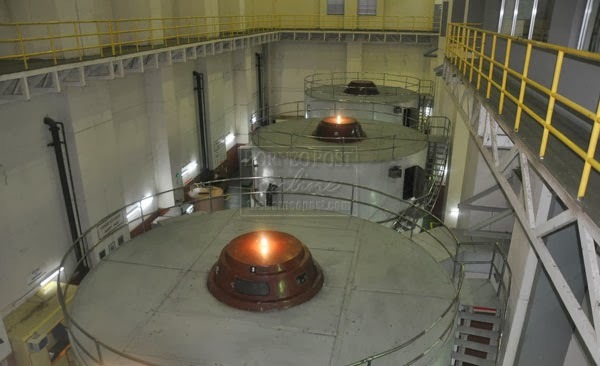 We've read that Pangi hydropower plant is currently undergoing sprucing up project and a bit of upgrading which would increase the generating capacity from 66MW to 75MW. That's good, but that may be only good enough for the surrounding area. The utility company is also looking at building a non-destructive 180 MW hydropower plant at Ulu Padas, Kuala Tomani and this, I think would be a better bet at solving the acute power shortage, compared to the small, ageing Pangi hydropower plant. This should (at the least) put Tenom area in a 'safe island' during islanding mode of operation due to major power disruptions. On IPPs with fault-prone generators, someone should really look at the procedures on how IPP monitoring by SESB is being carried out, if there was one. Well, it's crazy to assume there's none, but can you help but think something is not right with the preventive maintenance after several major blackouts in a span of just a couple of years? On a positive note, one must appreciate the efforts put in place by SESB to address the power supply issues in the state. Several bigger power plants are currently on the pipeline and some of them are nearing completion (in stages), plus, the utility company is also looking at getting better control over the IPPs, especially the upcoming ones once the terms of the existing ones expire. Also, don't forget; SESB is also spending a lot on upgrading its transmission grids. Looks like a never ending story in Sabah power supply.